I chipped my glasses a couple of weeks ago, and used it as an excuse to order a new pair with frames that I'd seen in an online ad and immediately liked. They arrived today, and I'm not convinced that they online place got the prescription right, so I'll be taking them an optical place tomorrow to ask for them tested, and get the fit adjusted slightly. But I thought I'd ask your thoughts on the frames. How do they look? If I have to return them due to an incorrect prescription, I can certainly replace them with a different frame if I choose. 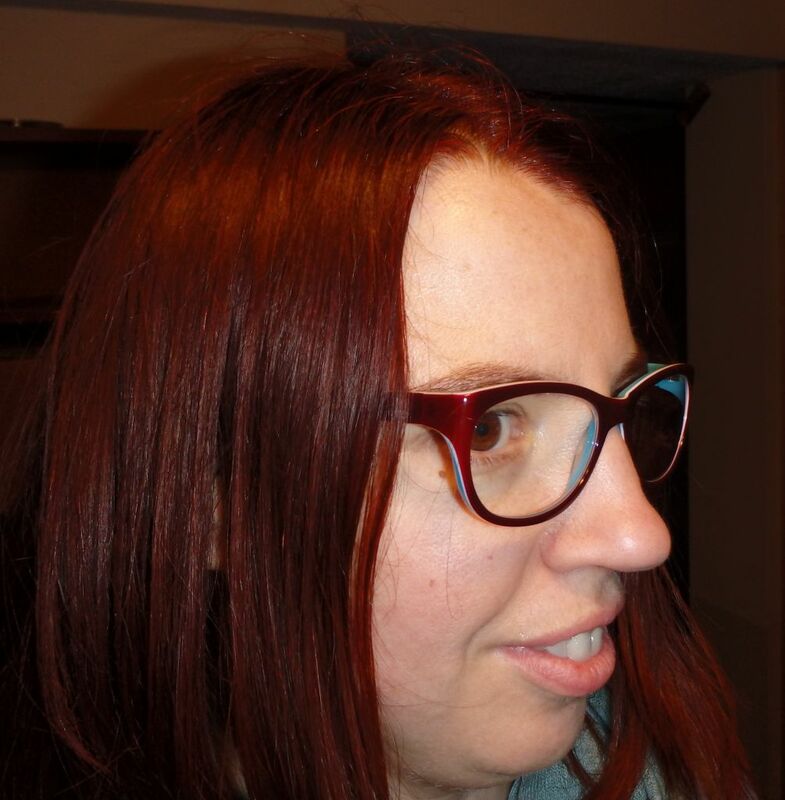 They are, in case it doesn't show well on the picture, deep red (almost match my burgundy hair), with a bright light blue inside that I tried to show in #2. Comparison to my current (chipped) glasses in #3. I think they are winners, Amy. Nice shape and a bolder look than your current ones, which I think works really well with your features. I love the blue inside; it's flattering and fun. I quite like the new frames. The color on the inside is cool. My metal frames are gray on the outside but lime green on the inside. I like the occasional hint of color. hope the store can adjust them for you. 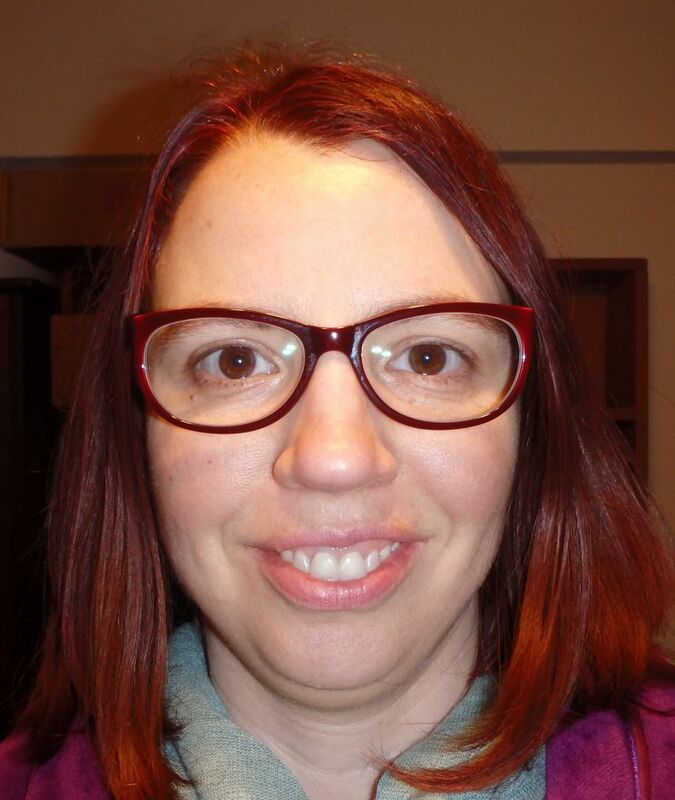 I like the frames and think they are very attractive on you Amy. Colour is great too. I vote keep. Love the color on you. I like the shape and colors on you! The hint of blue from the side is fun and flattering. I like them, Amy! I think they are winners. Love the blue inside. I like hem very much Amy. They go wonderfully with your new hair color and the bit of blue is magically uplifting. Winners! My vote is to keep them. Great color & I think the bigger lens shape is up to date. The shape fits your face, as well. I think they fit your face nicely, and the jolt of blue on the inside is super cool. Very nice. The blue flash on the inside seals the deal. Keep them! Looks great to me! And love your hair colour! I like them, too. They look trendy, frame your eyes perfectly and match your hair beautifully. I think they also give you a little more edge than your current pair. I really like them on you, Amy. They're a great balance of current and flattering! 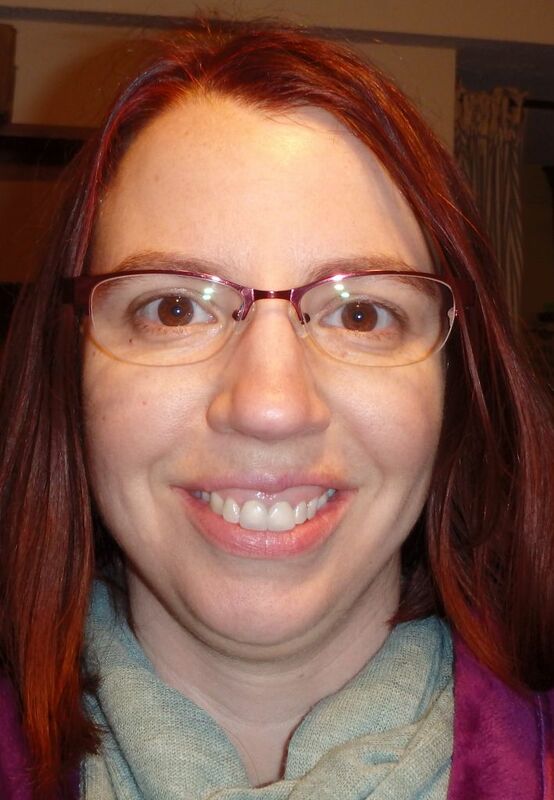 These frames are fantastic on you Amy! Love the color combination, size and shape of frame and the thickness as well. The glasses have presence without being overwhelming. LOVE THEM. Better than the chipped pair. KEEP! I'm immediately drawn to your eyes. They are bold - and you wear them well. Could you imagine sporting them a couple of years ago?